Choosing the best portable DLP projector might be a difficult task but if we know what our needs are then the job can be much simpler. DLP projectors have a big range of portable projectors that give good picture quality and are good for offering presentations in offices, teaching kids in schools, and so on. 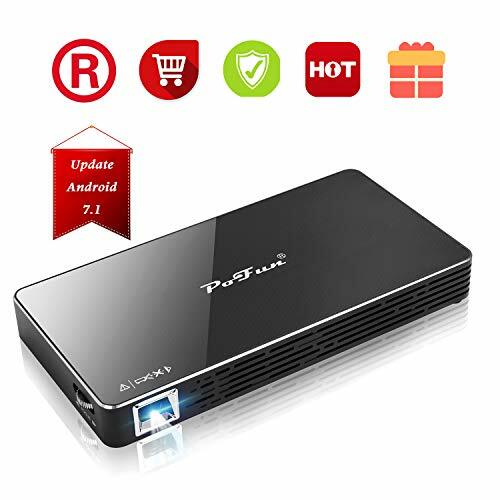 However, when it comes to choose the best portable DLP projectors, then we have to decide if we need the one that weigh around 5 pound or a big heavier will work as well. If you need to give presentations at different locations like under the open sky, in a meeting room, in a class room, or any other places, then you might look for a projector that weighs around 4 pounds or less and can be fit in a small bag or suitcase to be carried easily. Other thing that you may look for is the resolution, as DLP projectors are being available in different resolutions. The best portable DLP projectors should have a native resolution of 1280X800 with HD support at 480P, 720P, and/or 1080i/P. Image resolution should be 16:9. Moreover, it should support wireless networking so that can be easily connected anywhere you need. The need for portable projector kicks in when you are travelling beyond city limits or are on an official business tour and feel like having a projector to have some out of the blue entertainment or a presentation. So why not choose from among these five portable projectors and get it covered. The Optoma HD142X is more of a lightweight and great performance deliverer with a range of premium features compared to rest of the portable ones. It comes with a 1080p resolution that’s native and uses DLP Technology by Texas Instrument, which produces quite a stable image with least pixelation. 3000 Lumen count is a clear indicator of the fact that this projector can be used in places with well-lit conditions and the contrast ratio of 23000:1 pours in more detail. Part of the many ways to extend the reach of this projector is MHL connectivity which means smartphone can now be directly streamed via this projector. And another premium feature it flaunts is its 3D compatibility. 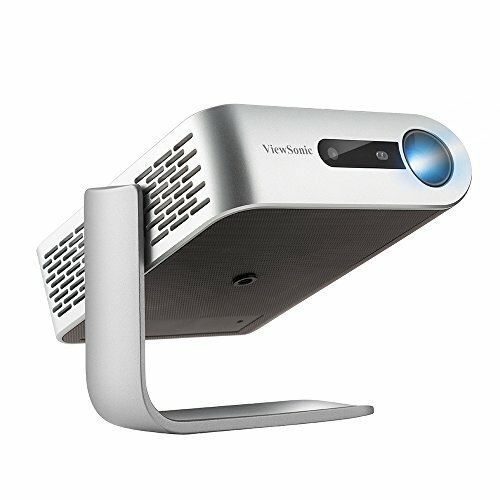 And as we talk about 3D, there is iCodis CB-400 Mini projector with 3000 lumens and 10000:1 Contrast ratio. The resolution you have here is 720p, with support for 1080p and all that you see on the screen is projected using DLP technology. The projector is smart and uses Android 4.4 to manage apps, wirelessly. For manual connection, the CB-400 has all the usual options including HDMI and TF card reader. If you usually don’t like carrying a bag for your projector; it’s fine because the Mobile Pico Video projector fits your pocket easily. However, due to its small size, a blend of 100 lumen and 2000:1 Contrast ratio is what you get with this projector. The machine connects wirelessly and has Android OS to run apps for direct streaming. 1080p support is another feature that attracts an average user. To beat the projector that fits your pocket, you need a projector that fits your palm. 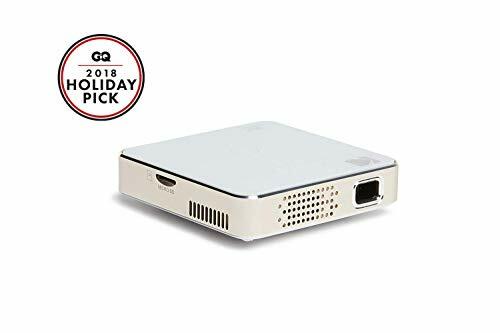 With this in mind, iCodis G1 Mobile Pico Projector was designed. 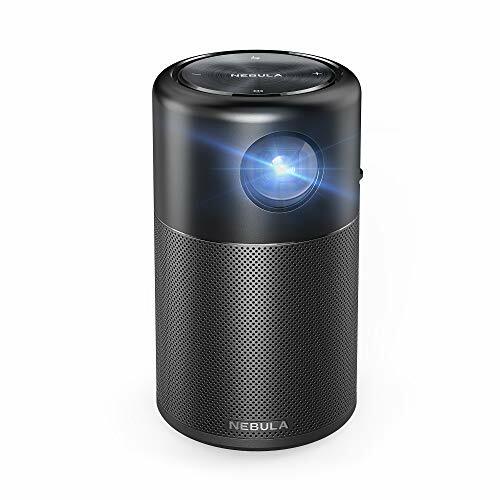 Like the above two, this projector features wireless connection to run Android apps and MHL for Smartphone connection. Lumen count of 100 might sound low but then the Contrast ratio of 2000:1 keeps everything in balance. You can enjoy a picture with 854 x 480 native resolution, which can be extended to 1080p when needed. 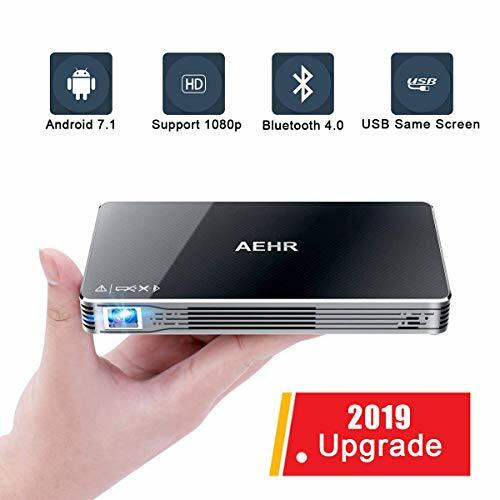 The fourth wireless projector on the list here is AEHR Mini Projector, which is quite similar to the last two projectors featuring lumen count of 100, 2000:1 Contrast ratio, Android support and extreme portability. So it’s just the brand that matters here.